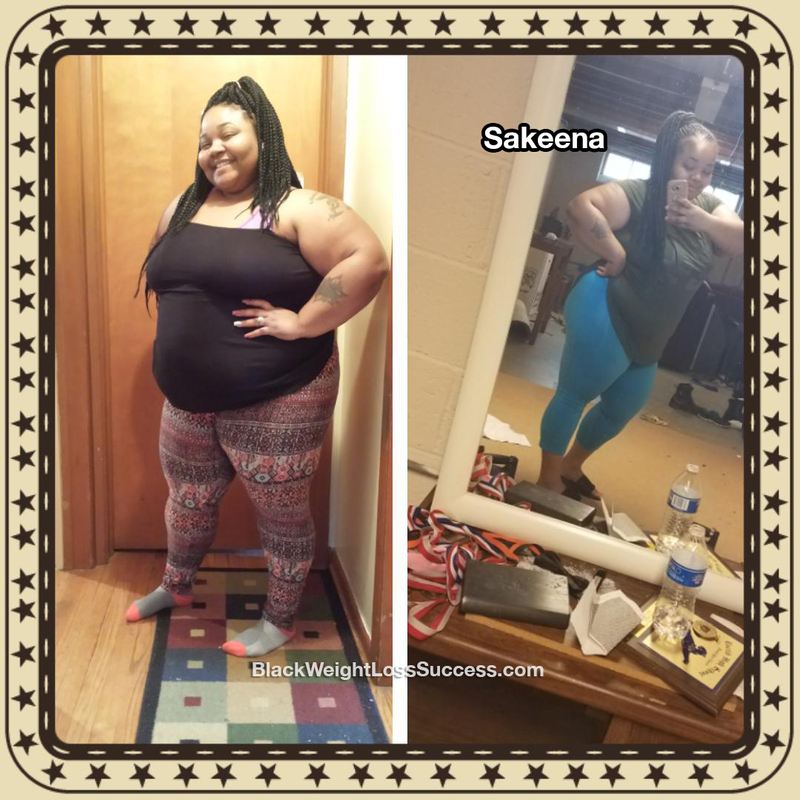 Transformation of the Day: Sakeena lost 62 pounds and lowered her body fat by 12%. This mom of 4 ignored her weight gain until it started to affect her breathing. After a weigh-in wakeup call, she found the strength to commit to lasting lifestyle change. Check out her story. First of all, I want to say that this journey is by far the best thing I’ve done, but it’s also the hardest thing I ever had to do. I started gaining weight after having 4 children. I stayed away from the scale so long that I didn’t realize how bad my situation was until 2016. That’s when I stared having breathing issues and had to sleep with an inhaler in the bed. My diet was terrible. I was drinking alcohol daily and ignoring my weight gain. I decided I needed a change in January 2017. I joined a local book camp where I had to finally get on the scale and face my fears. I was in tears when I found out that I weighed 321 pounds and had 60.7% body fat. I was so mad at myself. I knew I had to make a change, so I did. I started to follow a strick diet plan and began working out daily. The weight began to fall off. I simple cut out all processed foods, junk foods and fast foods. I ate a low carb diet instead, with veggies, chicken, fish and low sodium seasoning. I drank lots of water and let go of all the alcohol and wine. My workouts were intense. I did cardio everyday and weight training classes 2-3 times a week. I walk at the creek and I literally lived in the gym. Working out became my addiction. I now weigh 259.7 pounds and have 48.1% body fat. My height is 5’1″. I’m so proud of myself for sticking to it and losing the weight. I still have a long way to go, but I am not stopping. This is just the beginning and I know I will reach my goal weight of 130 pounds with consistency and discipline. I can do it. During this journey, my motivation was my health and my children. I knew I needed to get healthy for them and change my lifestyle so that I can be around for my babies. What inspired me when I wanted to give up was the scale. I knew I didn’t wanna go back to that number… 321lbs. I also didn’t want to go back to the guilt I carried about being overweight. I didn’t want to be unhappy with the way I looked. Advice: First, get mentally prepared. You have to be fed up and ready to work. Next, make a plan. Throw away all the bad food around you and replace it with a healthy food. Workout daily, even if it’s walking everyday. You have to get up and move. Lastly, never stop. You may get fed up and wanna quit, but don’t. Find friends that motivate you and stay away from people who are not on the same road as you. Always remember why you started and don’t give up. Good for you! Thanks for sharing your story, and you look great!! !